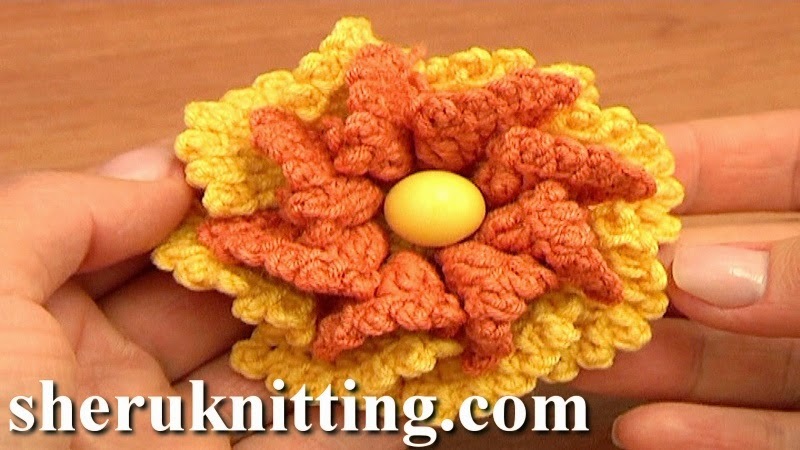 On Shruknittingcom Channel you will find a big collection of free crochet flower patterns, crochet flat and 3D flowers, free crochet patterns for beginners and experienced crocheters. Please subscribe to see a new video tutorial every day! In this crochet flower video tutorial you will see how to make a beautiful one-layer 8-petal flower and then how you can turn this ready flower to a completely different one by crocheting an additional layer of smaller petals. Both flowers are very pretty and can be used as an embellishment for any of your projects. Thank You so much for watching!